This morning at the Qualcomm Snapdragon Summit in Hawaii, Microsoft’s EVP of Windows and Devices, Terry Myerson, is announcing the introduction of the first Windows 10 PCs to be powered by Qualcomm Snapdragon processors. It was almost a year ago to the day that the company first announced their partnership with Qualcomm, which would bring ARM support to Windows 10, but with x86 emulation, allowing all existing applications to work as well. The first PCs will be the ASUS NovaGo, which is a convertible laptop, and the HP ENVY x2 convertible tablet. This is exciting news on a couple of fronts. 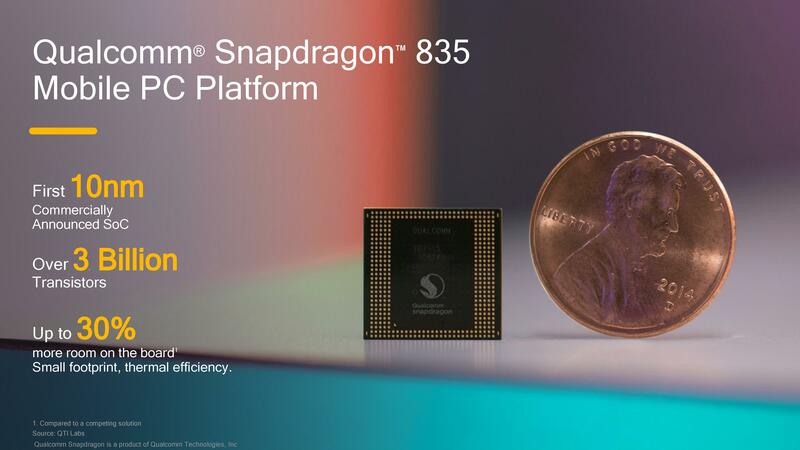 The Qualcomm Snapdragon 835, which was the processor first announced for Windows 10 on ARM, offers reasonable performance, but with lower power consumption than what we’ve been used to in the PC space, and especially in low-power states. Without having the devices in-hand, we still don’t know how the SD835 compares in performance to the competition. We should finally be able to answer that soon though. One of the key pieces of using a mobile SoC in a PC is the extra integration. Smartphones don’t have room for large circuit boards, while still providing room for all of the other equipment and batteries required, and mobile SoCs offer a lot more features integrated into the SoC than what a typical PC would, which allows for substantial board space savings over the competition. Back at Computex, Qualcomm was showing off the SD835 PC board compared to a competing 14nm Intel board, and the space savings were up to 30%. This allows smaller, thinner, and lighter devices, but with more battery capacity. One of the major integrations with the SD835 compared to PC SoCs is the integrated cellular connectivity, which is one of the features that Microsoft is championing the most with this new partnership. There have been PCs with cellular cards added on for some time, but Qualcomm’s cellular tech is aimed at mobile, where always-on connectivity, and low-power usage, is a requirement. That same connectivity will be available on the PC as well, with an always-connected network connection providing a better user experience than what we’ve become accustomed to in the laptop world. 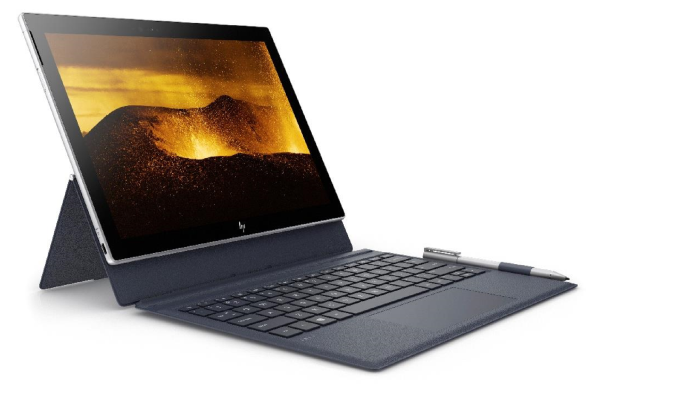 Battery life should also be a big win, and while we don’t have our own tests done yet, Microsoft’s information is claiming up to 30 days of standby and up to 22 hours of active use, while the detachable tablet-style HP ENVY x2 is claiming up to 20 hours of active use. That’s impressive, and blows past the all-day battery life that we’ve come to expect in a laptop, and should free a device up for a couple of days of use before charging. Terry Myerson has stated that he’s been getting up to a week of use out of a device before he needs to charge it. The always-on nature of mobile brings other advantages too. 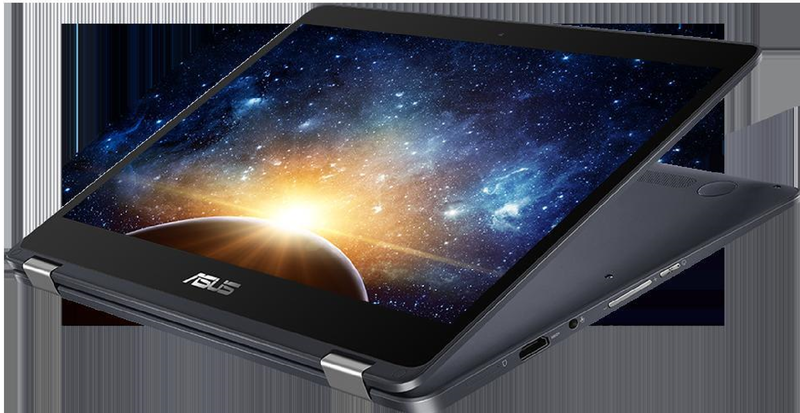 The PCs will wake up instantly, just like you’d expect on your phone, or mobile tablet. The ARM equipped devices will be running full Windows 10, so no desktop apps are left behind, unlike the previous time that Microsoft attempted this. The ARM chips at the time offered much less performance as well, so this time around, it should be a much better experience. Universal Windows Apps will be available compiled for ARM directly, but x86 apps will run in emulation, which is still a cause for concern for both performance and battery life, so we’ll have to see how that pans out. Microsoft has an “optimized” version of Office 365 for the new ARM powered PCs, which likely means it’s been recompiled for native performance. 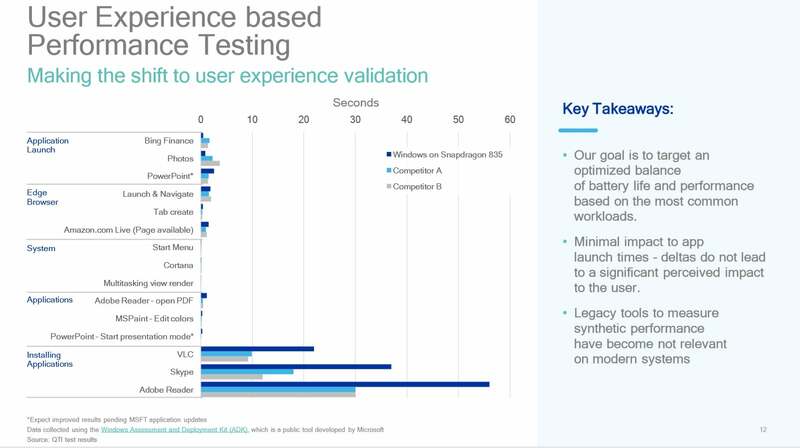 Perhaps the most exciting part of the announcement is what added competition in this space should bring to the end-user. We have Qualcomm coming to the PC from the mobile space, where low-power has always been key, but the performance has been improving steadily, and we have Intel and AMD on the other side, coming from a high-performance but higher-power world, where integration of components into the SoC hasn’t been as high of a priority. It’ll be interesting to see where the convergence happens in the coming months. Read a little. Google. Bing. Yahoo. Ya got lots of opportunities. I think it's actually going to do incredibly well in the consumer space; people have been begging for longer battery life for ages and this is a noticeable increase. LMAO. You ignored 95% of what a user spends their time doing (oh, because those benchmarks were quite good for Qualcomm, right?) and concentrated on this arduous, almost hourly task, of having to install programs. ...you're grasping at straws. The benches clearly show slower installs and so probably Windows updates, too (but I'm curious if the installs are just because of compiling the ARM-native code from the x86 code).  Mate, lots of people to fact check. How can “Anandtech commenters” be so ill-informed? I’ve never seen such a huge divide between the level of the writers and the level of the commenters. Do you all...understand or even finish reading Anandtech’s longer deep dives? If you all read the SD835 Arch. Review, you’d think you would have wholly understood these by now. White knight? Please. Microsoft is inane more years than not this past decade. Squandered mindshare and opportunity. I don’t think so. How many hardware compromises are there in $250 to $400 systems? Way too many. TN screens. Lousy trackpads. Creaky build quality. Yea I am not looking forward to these devices at all. It was bad enough back in the day to have all of those non worthy Atom net books every where which were so under powered that it was a pain to use them. Then they decided oh lets make them dual and quad cores and sell them in full sized laptops and desktops. Ok so they had a bit more power but were still pretty much useless for more than internet surfing.